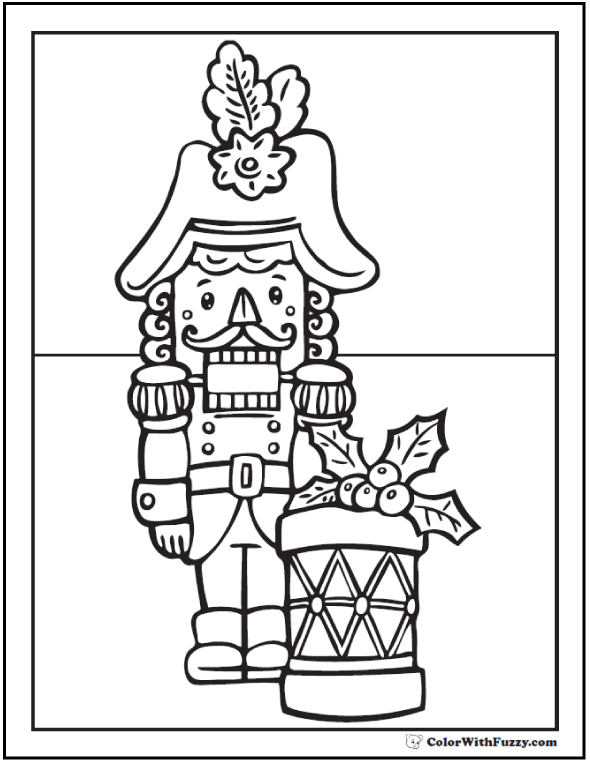 I love this Nutcracker coloring sheet. The Nutcracker is dressed as a spiffy captain. He has a pretty drum decorated for the season with a touch of holly. Perfect for fans of the classic Nutcracker Suite.